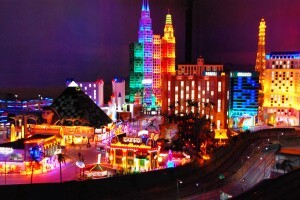 Las Vegas at Miniatur Wunderland, Hamburg. The lights are shining brightly now, but may dim when one sees the huge press of people who crowd the claustrophobic space. 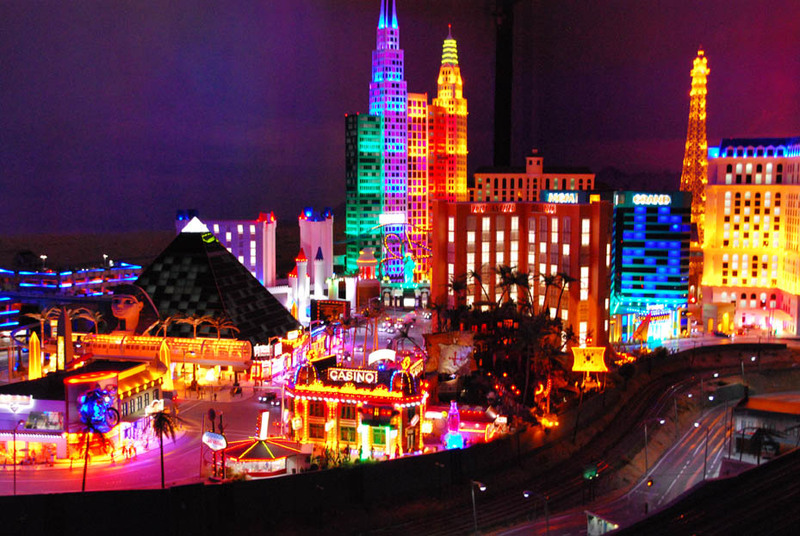 A visit yesterday to Miniatur Wunderland in Hamburg turned out to be a learning experience, and not a positive one. After purchasing tickets in June and reserving an entry time of between 1030 and 1130, I brought my excited guests to the front door and dropped them off, leaving them to get started while I went around the block and parked. After winding my way up to the sixth floor of a large parking garage and finally finding a spot, I walked back to Miniatur Wunderland. About ten minutes had passed. My two clients were ready to leave. The problem with the layout of Miniatur Wunderland (rated by TripAdvisor as the #1 out of more than 325 attractions in Hamburg) is that there is no direction, no front, no back, no plan at all for handling thousands and thousands of people of all ages, sizes and physical abilities. It is quickly becoming the place to avoid, and not the place to spend hours marveling at the tiny figures and the incredible imagination behind the duo of creators and now their large team of helpers. Posted in Germany Tours and tagged crowds, hamburg, miniatur, wunderland.